This book, as it is usual for my last reads, was another random find. So far it’s the longest book I’ve read this year. Amazon states the length at ~650 pages while goodreads at ~860 which felt closer to the truth. Yet it did not feel too long. 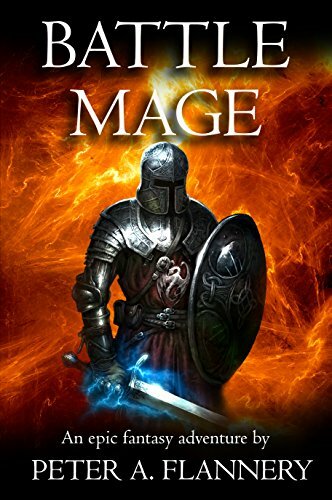 The book had me hooked from the start and if there’s one indication how good it was, I was disappointed that I had to delay finishing it by one day due to scheduled World of Warcraft raid. The book itself starts with the impeding threat of Posessed, army of demon-controlled souls, coming closer to a village where the main character, Falco, lives. Even now at the beginning it gets interesting, because Falco seems like an underdog even among underdogs. He’s weak by illness that troubles him for as long as he remembers and is haunted by past he can’t remember or change. Despite that, he’s willing to help his friend against his bullies. His curiosity gets him into a big trouble and soon all hell breaks loose as the demonic army advances. He’s then taken to be trained as battle mage where the rough drill has him behind the others due to the (now gone) illness weakening him and he struggles to control the power he had due to the troubled past. To make everything worse, those that seem to be far away from the danger are unwilling to fight it and those in danger have to stand alone and make hard choices to try save what they can. That’s all I’ll say as anything more would risk spoilers. Attention to detail, great backstory, interesting plot twists and characters. This book had several things I like: interesting approach to magic, bonding with a dragon, dark secrets lurking behind and more. If there’s one thing I don’t like much it’s the ever-present aura of fear around the largest demons. I admit that I have a grudge against almost any kind of hard-control mechanics ever since I played Warcraft 3 and my fellow raiders know I’m likely to start complaining when any NPC in instance overuses these things. but that’s small thing that did not let my enjoyment of this book be affected. This entry was posted in Books, Fantasy and tagged book, Fantasy, review. Bookmark the permalink.